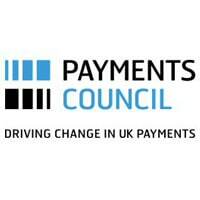 The Payments Council, the industry body responsible for setting strategy for payments in the UK, has told NFC World that it is developing a platform that all British banks will be able to use to deliver a range of mobile payments services. The Payments Council has requested expressions of interest from potential suppliers interested in helping to design, build and operate a common infrastructure platform which is to be designed as part of the Council’s commitment to lead payments innovation. It is aiming to provide an attractive new service to UK personal customers with a mobile phone, of any type, and a personal current account. But, perhaps worryingly for mobile operators, the Payments Council doesn’t feel there’s a direct role in mobile payments for the telcos. On whether the new platform places the Payments Council and its members directly in competition with mobile operators, who see the mobile payments and NFC pie as naturally belonging to them, Martin said: “I wouldn’t say the new platform will necessarily cut mobile operators out of payment services. Payment services as far as banks are concerned are a very low margin business, and are not something that telcos have traditionally been set up to work around. “We’re very much aware that mobile operators are interested in these services, but if banks can deliver a sheer volume of mobile transactions on this new platform, it will be of interest to operators, on data usage and also as a basis to support other commercial opportunities on top of what they already do. They can use it to help monetise what already goes through their networks, like airtime and micropayments,” he stated. Martin added that mobile operators will be able to work with single banks to develop new services based on the proposed platform, or can build services around what is going to be a single, standardised mobile payments platform. He added that an additional driver to the move to mobile payments has been pushed by the need to find an alternative to cheques, which are to be phased out. “We have a very strong belief that we need to look at alternative ways to evolve person to person payments; mobile is one particularly interesting way to do that,” concluded Martin. The proposition will be put to tender in September, said Martin, and a commercial launch of the platform could occur in 2012. This is the 4th hopeful mobile payments story I’ve read this month. I’m starting to think there might be some real reason to believe companies are finally starting to move. The best news is that this plan relegates the mobile operator to the role it merits with regard to mobile payments, a dumb pipe. They are already making far too much money for the service provided so knowing they won’t be taking a piece of every transaction is very positive for consumers.